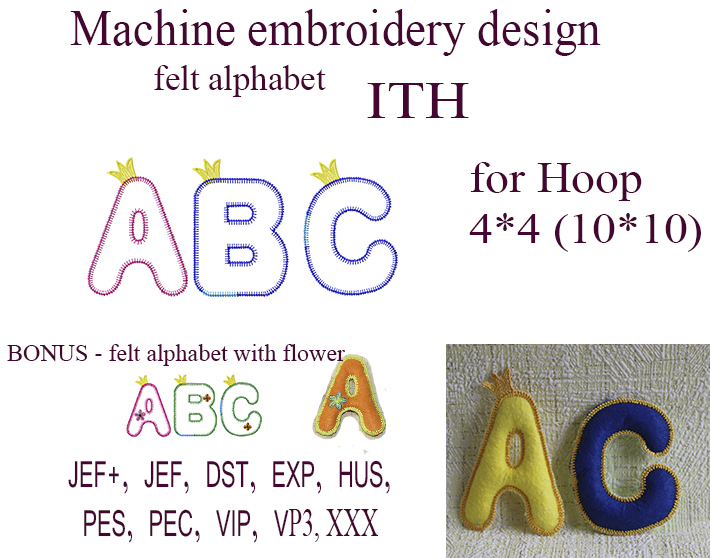 Sweet 3D letters created in the hoop with felt and stuffed with fiberfill stuffing. Bonus: Each letter also comes with a flower option as well. Size listed below is based on the letter A. Earn 5 points at checkout OR buy this item for 90 points. Sweet 3D letters created in the hoop with felt and stuffed with fiberfill stuffing. Bonus: Each letter also comes with a flower option as well. Size listed below is based on the letter A. Cat Mug Rug/Pot Holder 2 - 5 Sizes! Finish Size 2.76" x 3.87"